While I do not often post press releases, this one from a group trying to get a letter writing campaign going in support of legislation to protect children and vulnerable adults from sexual predators was a good fit with the positions I have taken in previous posts. HARRISBURG, PA – Justice4Pakids will launch a child sexual abuse advocacy letter campaign to each state legislator beginning on September 26 with subsequent mailings for each week of the term. Each hand-delivered letter will share the tragic details of one survivor’s experience as well as a plea for the removal the state’s civil and criminal statute of limitations on child sexual abuse. Justice4PAKids is a newly formed coalition of child & victim advocates, lawyers, mental health professionals and concerned citizens dedicated to eliminating the Pennsylvania statutes of limitations for childhood sexual abuse. This would expose perpetrators and those who harbor them; protect children; give victims an opportunity for justice; save taxpayers money. House Bills 832 and 878, which were introduced on March 9, 2011 by Louise Bishop and Mike McGeehan respectively (both D-Phila), have been stalled in the Judiciary committee without a hearing. Committee chair, Ronald Marisco (R- Dauphin County) has not presented the bills for a move to the House floor. For more information, please visit www.Justice4PAkids.com or email info@Justice4PAkids.com. 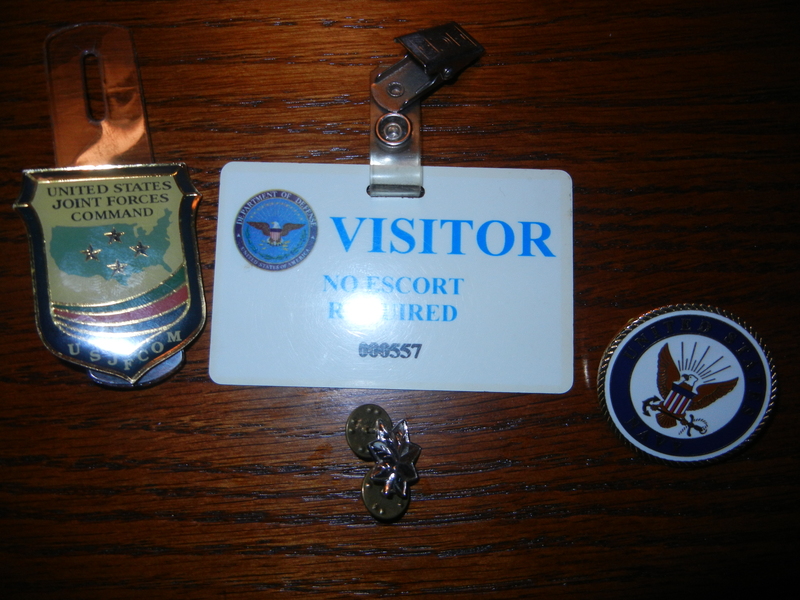 This post is off topic from the normal subject matter for this blog… It is my memories of 9/11 at the Pentagon on that morning. It is hard to believe that it has been 10 years since that brilliant September morning when I walked into the Pentagon to conduct a briefing that had been postponed twice since earlier in the summer. It was an incredible morning, clear, cool and unlike Washington in early September. As I became aware of what was happening in New York , I called back to my office at Joint Forces Command (JFCOM) in Norfolk, Virginia my training started to kick in . I was “battle-rostered” to an organization called Joint Task Force – Civil Support that was assigned the mission of responding to a Weapons of Mass destruction event and 9/11 was certainly that. I began to sort out what I would need and how I would get my gear that was always packed for a short notice deployment if we were directed to go to New York to support recovery operations in New York. As we stood around the TV in the “C” ring of the Pentagon watching the Twin Towers burning in New York, it was painfully clear that this was an attack and that the day was going to be the beginning of something bigger than any of us had ever comprehended. At that point it was about 9 am. I never for a moment thought that within an hour everything would just turn upside down. I had dinner with my brother and his wife in Springfield, Virginia the night before, this was just another of my temporary duty trips to DC. It was all going out of control. The Navy Captain who ran the multinational logistics division of the Joint Staff (J-4) decided to proceed with the meeting at 9:30 . We were briefing an international agreement with Canada and my counterpart from Ottawa was there. At 9:30, distracted about what was going on in NYC, we started going through an abbreviated set of slides on the agreement. Eight minutes later the building shook. If you have been to or have seen photos of the Pentagon, this is a sprawling stone structure. The shaking and noise of a Boeing 757 hitting the building was deafening even in the “C” ring conference room I was in. American Flight 77 plowed through three recently renovated sections of the south-facing exposure of the Pentagon. It went through the E, D, and C rings with debris actually making it into the B ring. Because the building was just completing renovations on this section, many of the offices had not been occupied yet. Personally, the things that come back to me are the smell of the jet fuel burning and the calm during the evacuation. I don’t know if it was our training or just the nature of the business conducted in that building, but as we poured out of offices and conference rooms into the maze of corridors throughout that building I did not see panic, I did not see chaos. I saw people moving to exits, helping those that needed assistance, moving with purpose, accounting for office mates and tending to those who were injured. We evacuated to the river side of the building, a sweeping slope of grass that led down to the roadway that ran alongside the Potomac River with a view of Washington DC to the north. The Joint Staff Personnel accounted for those visiting from other commands and Canada for the meeting. Some required medical attention but they waited, we knew that there were many who were much worse off that were being taken to the makeshift first aid/triage set up near the “North” parking area. Many people initially did not leave the grounds. They were looking for friends and for a way to help. Many of us went back into the building to find those who could not get out on their own. It did not matter if you wore a military uniform, civilian clothes, or the uniform various police, fire, and emergency medical services of the jurisdictions responding to the scene of the attack, many people were trying to get back in. Whether they were going to do search and rescue or start the process of replying to the insult the country had suffered, these people were not running away, they were beginning to rally. There were setbacks, the fuel tank for the helicopter pad, very close to where the 757 hit, exploded from the heat of the fire nearby. The smell of jet fuel burning was thick in the air. It is my most powerful memory of that morning. I don’t know how all of you remember it. But that morning moved like someone had pushed some universal fast forward button. It took hours to get a phone call through to let my family know I was uninjured. But it felt like seconds. When they finally released us after they had accounted for us, I stood watching the smoke pouring out of the building, sounds of helicopters, emergency equipment, cars on I-395 fleeing DC and North Dakota Air National Guard F-16’s flying overhead added to the cacophony that overwhelmed me. I checked out of my hotel in Crystal City late that afternoon, I had to get back to Norfolk to get to work preparing the forces that the President would task to be the vanguard of our national response. The hotel lobby was full of people who had been at Reagan National Airport awaiting their flights out. With all flights cancelled and American airspace closed, these people were seeking lodging. The Hilton was happy to have the room back and I found myself getting on I-395 in the late afternoon expecting to crawl through rush hour traffic. I was amazed at the lack of traffic. People had evacuated in the late morning and early afternoon and now the highways were eerily quiet. I hurtled south (way too fast that evening) to Norfolk on an all but empty I-95 South and I-64 East. America had gone home to watch the horrific events of the day and to gather their families as we all had our realities altered irrevocably. As I headed south I saw emergency vehicles, cranes and military vehicles heading north. I have traveled that road between Washington and Norfolk hundreds of times. I have never made the trip as quickly as I did that evening. I went home to let my family see that I was uninjured and to change out of the uniform I had worn that day. It was filthy, covered in dust, dirt, and sweat. I changed into a clean set of BDU’s (battle dress uniform) and tossed my khakis in the garbage can in the driveway. I saved my color devices, I wore my father’s silver oak leaf (rank insignia for a Navy Commander), I could not part with that. I saved my Pentagon visitors badge, with the events of the day, I neglected to turn it back in as I left the building. Everything else was tossed. By 2100 (9 p.m.) that night I was in the joint operations center of JFCOM. Information was pouring in and orders were being sent out. As the Joint Staff recovered and came back on-line we began the process of managing the force to support whatever action would come at the order of the President. When I woke on the morning of 9/11/2001 all I wanted to do was get through the briefings and the meetings that were scheduled. I was looking forward to watching an episode of Band of Brothers on HBO at the hotel that night. Instead, I got to see a band of brothers and sisters rise from the burning remains of the south end of the Pentagon. The sights, sounds and smells of that morning are as vivid to me today as if it had happened yesterday. As I am writing this I can see it is just after 9 am, almost ten years to the minute of the plane hitting the building. It is all just a little overwhelming. I had a lot of support that morning. My brothers were on Instant Messenger checking in with my wife. News and information was moving online because the cell phones were clobbered. For hours that morning my cell phone was useless to me. They passed the word when I finally got through and saved me from having to make calls while my attention was elsewhere. They would rally around me again 18 months later when I deployed for the invasion of Iraq, on very short notice, in March 2003. I know I can count on all of them in any crisis because they have already shown me that they had my back for the big ones! Enough of this for now. It will be a long day for many. Please remember those who were innocently taken, the ones that went into the buildings and fought back against those who would do us harm and paid the dearest cost on the altar of liberty. Remember the men and women who are on watch somewhere in the world, many are still in harm’s way, so that we can sleep peacefully in our beds each night. Hug your kids, don’t miss a chance to tell someone you love them. We have all seen that the world can turn on its head without warning. A fast post this morning on an article that appears in the most current edition of Rolling Stone Magazine. The article is about the organized coverup of sexual crimes committed in the Archdiocese of Philadelphia. I will have more to say about this later. You should read the article! I found out about this latest review of the crisis of sexual crimes committed by Roman Catholic Clergy and the coverup of those crimes by the hierarchy of the Catholic Church in a blog by Susan Matthews , Catholics4Change. I have to get to work, more on this later. You have a reading assignment! This is a blogospheric (a new word is born) place holder. The last few months have seen many changes in almost every aspect of my life. I will probably get to most of them in the coming weeks. I have some things to say, some things to think on and some goals to accomplish and I will use this blog to help me sort it out. For some reason, even though I have not posted regularly in the past few months, the number of readers coming to the blog has not really fallen off. I don’t really understand that, but that will probably sort itself out. I am going to start taking a separate tact here for a while. It will focus on surviving and not being a victim. I will be working on things to help me put baggage down and move on. I am widening the aperture to get a bigger perspective. No longer will I be throwing “blog rocks” at stained glass windows. although I will be happy to point out the folly and failure of the Catholic’s hierarchy. There is a fork in the road and I am taking it (Yogi Berra will forgive me).